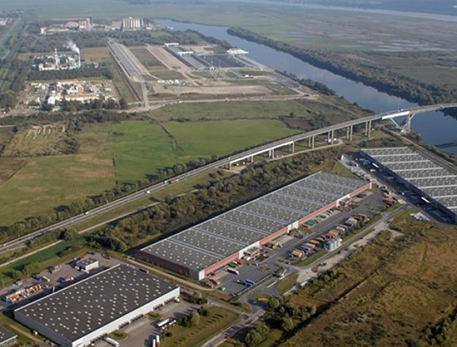 XP LOG has grown as one of the leading logistics companies in Normandy. Thanks to a number of integrated services, we are able to offer you ready-to-use solutions: from simple cross-dock operations to a full outsourcing of your logistics, the XP LOG teams will constantly strive to prove their commitment to managing your supply flows. The company can rely on modern equipment and powerful technologies along with strong and well experienced human resources. We have all the necessary authorizations and certifications to manage numurous types of products. From our XP LOG platforms, we can stock, control, prepare and ship an extended range of products, from in bond goods to organic food. Through our values, our teams work every day to provide our clients with turnkey solutions. Our teams prove their involvement in customer traffic management. Being reactive for XP LOG means to be able to give a right and quick logistics answer to satisfy our customers. 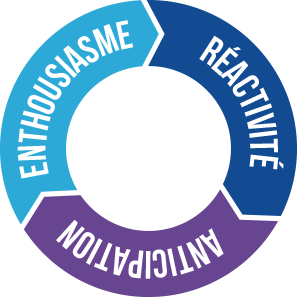 Be reactive and find quick solutions is part of your daily missions. Anticipate for XP LOG means to be able to work proactively. Thanks to our IT Systems and resources, we create partnership with our customers. Anticipate means to make our customers part of their own logistics chain by understanding their needs and final customers’ needs. Being enthusiastic for XP LOG means to be to pt all our energy and determination to satisfy our customers. Working with enthusiasm and having a positive attitude is the best way to build a real win-win partnership. With our great team of qualified professionals and our flexible in-house organization, we offer you supply chain solutions by adjusting our services to your seasonal demands as regards with order picking while ensuring a timely delivery. Our teams can step in all the stages of the supply chain, from the initial reception of the goods to the final delivery. Delivering quick and suitable customer support solutions is our priority. Each of our clients liaise with a dedicated Project Manager. This guarantees a better communication process and advanced knowledge of the project on our side. XP LOG is certified ISO 9001, which ensures a rigor and a quality of services to his customers. XP LOG obtained the AEO “Authorised Economic Operator” status on 2009 and has been awarded with the certificate for Customs Simplifications/Security and Safety. This certification is recognized all over Europe in line with the Customs Community Code. This status proves our commitment to implementing all the necessary measures to ensure security and safety for all goods. Ecocert is an inspection and certification organization established in France in 1991 by agronomists aware of the need to develop eco-friendly agriculture. They also considered it was important to offer some sort of recognition to those who were committed to this production method. Ecocert delivered the certification for organic agricultural products to XP LOG. XP LOG is certified MASE (Enhanced Enterprise Security Manual). This occupational health and safety management reference system aims to prevent and prevent the occurrence of accidents and / or dangerous situations. Creation of XP LOG in Montivilliers, logistics subsidiary of Challenge International Group, international and multimodal freight forwarder. 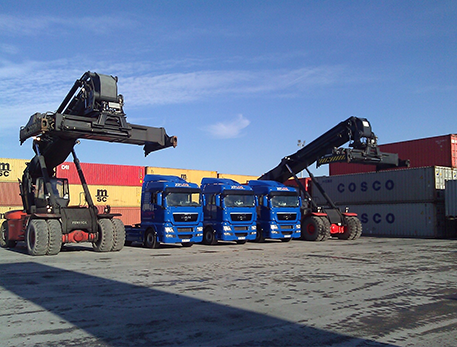 Buyout of the transport company « Fondimare » – Development of the shipping and distribution sectors. Obtaining the AEO status : “Authorised Economic Operator” to simplify customs clearance and safety-security processes. Merging between XP LOG and Fondimare – XP LOG absorbs the road transport activity in order to offer global logistic services: from storage to distribution. Expansion of the warehouse in Montivilliers. XP LOG is located in Le Havre, in Seine-Maritime. Thanks to its seafront, at the entrance to the range of major ports in northwestern Europe, and its proximity to Paris, the location of XP LOG allows many importers and exporters to consolidate their logistics and their flow at the port of Havre.